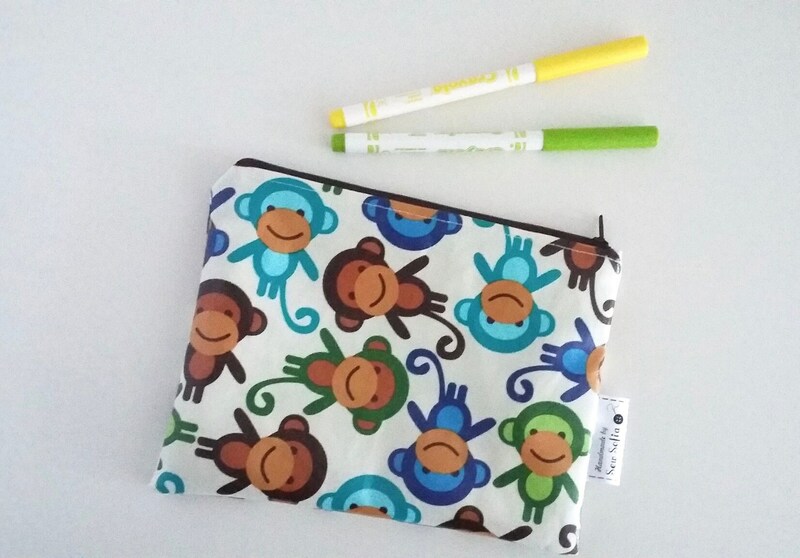 A wipe clean zip pouch perfect for a little monkey that you may know! In this rare Monkeys laminated cotton, lined in a white water resistant lining and closing with a brown zip. 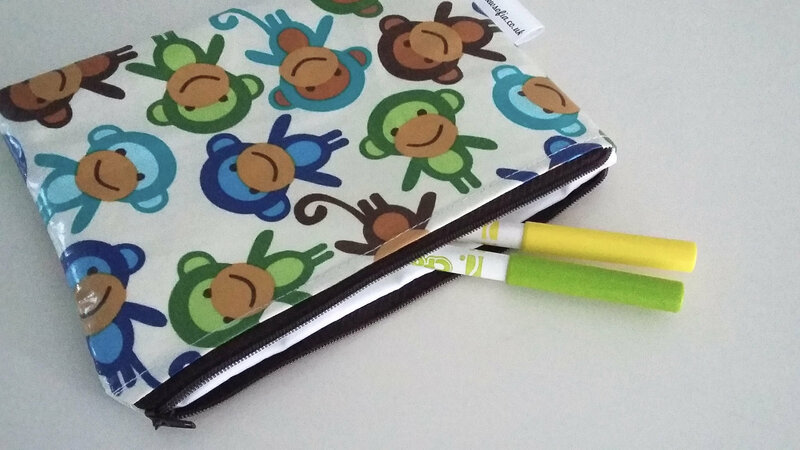 A great little stocking filler which can be used for holding money, crayons, little toys, swimming goggles, small snacks, small toothbrush even. Zip pouches have so many uses! Measures approximately 7" x 5"
One in stock, ready to ship in 1-2 business days. Delivery is by 2nd class post in the UK or standard international shipping with proof of postage.